PlayFrank Casino have decided to give you a week that will be just as exciting as it will be rewarding. With two offers around the corner and the release of four new games, you’re bound to have a good time. So if you’ve been thinking of getting a PlayFrank account, perhaps this is the time to get yourself a piece of the action. PlayFrank is upping its game and giving the players one of the most engaging weeks they’ve seen in awhile. The Drill to Wins promo seemed to have been a success and PlayFrank have decided to bring it back again, this time with a little bit of a change. 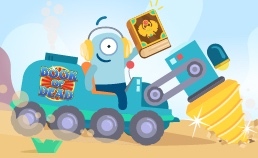 The eligible game for the promotion this time round is Play’n GO’s Book of Dead. The game is a 5 reel video slot about archeologist Rich Wilde and his adventures in Egypt as he searches for the Book of Dead. The promo runs between 19th September to 21st September and you’ve got an opportunity to win up to 120 free spins on the game. Participating in the game is pretty easy. All you need to do is make a deposit and wager on the eligible games to earn your way to as many free spins as you can amass. The first deposit automatically earns you 20 free spins, and wagering £20 afterwards earns you an extra 20 free spins. Wagering £50 earns you 30 extra spins while £100 earns you another 50 spins all totaling to 120 free spins. But remember, you need to wager on Book of Dead game as this is the eligible game for the promotion. To spice up your week, PlayFrank also has a promotion to keep your weekend mood at an all time high. The ”Free Spins Ladder” promo will run on the 23rd and 24th of September and even better, the promotion is all around NetEnt’s new hit game Emoji Planet. Now to the details. Participation is seamless, and all you need to do is deposit and wager on Emoji Planet slot game. You’ll receive rewards for the first 4 deposits you make towards the game totaling to 200 free spins. The first deposit earns you 20 free spins while the next three earn you 30, 50 and 100 free spins throughout the challenge. Remember, in this promo, the rewards are instantly credited to your account and you simply have to head to your Rewards or deposit page to claim your spins. If you’re not signed up yet, then you better start creating that account. In addition to the promotions above, you are also entitled to the welcome offer the casino offers. The welcome offer is in a well decorated package as follows: 1st deposit - 100% bonus up to £200 and a 100 free spin reward on Starburst. 2nd deposit - 50% bonus up to £100 plus 50 free spins on Starburst. 3rd deposit - 100% bonus up to £100 plus another 50 free spins on Starburst.